I’m a fan and user of Avast Free Antivirus on my personal computer. 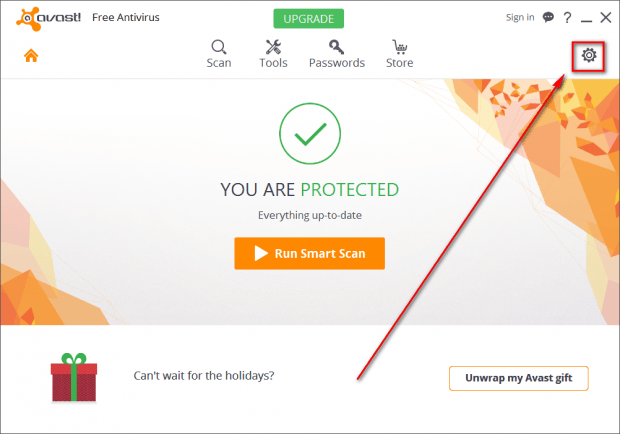 Recently, Avast pushed out an update for their latest and greatest version, Avast Free Antivirus 2016. Unfortunately, among various changes and improvements, apparently Avast feels there is a need to abuse your trust by covertly inserting a advertisement in all the emails you send — an advertisement that says: “This email has been sent from a virus-free computer protected by Avast”, a shown in the above screenshot. If you are like me, you do not appreciate Avast insert an advertisement in your emails… especially without your permission. 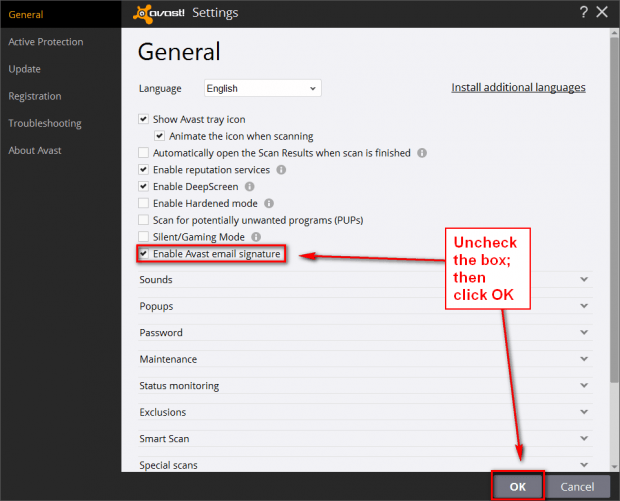 As such, I’ve put together this guide on how to disable the “this email has been sent from a virus-free computer protected by Avast” message. Read on to learn more. Prior to updating to Avast Free Antivirus 2016, Avast Free Antivirus did *not* insert “this email has been sent from a virus-free computer protected by Avast” in my emails. I’m sure there was an option for me to allow Avast Free Antivirus to insert “this email has been sent from a virus-free computer protected by Avast” in my emails, but it was not enabled by default. However, it looks like Avast decided to take matters into their own hands with the latest update because after updating to Avast Free Antivirus 2016, “this email has been sent from a virus-free computer protected by Avast” started appearing in all my outgoing emails. I know for sure I did not enable or explicitly allow Avast to display “this email has been sent from a virus-free computer protected by Avast” in my emails. It is possible the option was available-but-hidden during the install process of Avast Free Antivirus 2016. And I understand Avast is providing a free product and that they need to drive sales or grow their user base. However, covertly enabling an advertisement in my emails is definitely not the way to go. Done! Your emails will no longer contain the advertisement / signature of “this email has been sent from a virus-free computer protected by Avast”. I’m open to and do receive and see ads from Avast on my computer — their regular upsell pitches are a norm in my life. But putting an ad in my emails, especially without my explicit permission, is poor judgement. However, as we’ve shown in this how to disable “this email has been sent from a virus-free computer protected by Avast” guide, it is fairly easy to disable this behavior. Do it now (if you want to).